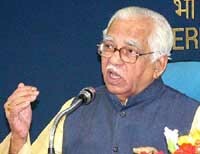 The proposal of breaking up of Indian Oil Corporation (IOC) is getting murkier by the day with Petroleum Minister Ram Naik categorically stating that the Cabinet Committee on Disinvestment (CCD) had not taken any decision to this effect. The Centre today unveiled the National Auto Fuel Policy envisaging that Euro III equivalent emission norms will be applicable in eleven major cities (including the four metros) by April 1, 2005, while in the rest of the country it will come into force by April 1, 2010. The Indian Airlines (IA) today approved the plan for further improving the ground handling facilities at the airports by clearing a capital investment of Rs 51.91 crore for procurement of various ground support equipment. Representatives of the scientific instruments industry here claim that Om Prakash Chautala is wooing foreign investors, but by ignoring the domestic industry, he is killing thousands of jobs and growth prospects of this 75-year- old industry. Spice Telecom ties up with Yahoo! Spice Telecom has announced its tie-up with Yahoo! India. Spice Telecom subscribers in 165 cities in Punjab can now avail of “Yahoo! for SMS mobile applications. A record number of 2.20 crore apple boxes were expected to be marketed during the current apple season from Himachal against 1.24 crore boxes marketed last year in view of record apple production in the state this year, the Chief Minister V.B. Singh today said. Seemingly unfazed by American outcry on outsourcing to low-cost destinations like India and the possible implications of the recent cut in number of US visas, Wipro chief Azim Premji aims to turn his company into one of the top 10 IT service companies in the world. The government today ruled out review of small savings schemes or a cut in the transfer of such collections to states. “No such decision (on breaking of IOC) has been taken”, Mr Naik told newspersons today. In an oblique reference to the remarks made by Disinvestment Minister Arun Shourie after the CCD meeting on Friday, Mr Naik today said that he was not in a position to comment. “I cannot comment today. Maybe tomorrow or day after. I have been out of town and have not read the newspapers for the last two days. I have to first go through what has been said before giving any comment”, he said. The statements made by the Disinvestment Minister have apparently caught the Petroleum Minister and senior officials of his ministry unawares. Petroleum Ministry sources point out that splitting up the Indian Oil Corporation (IOC) — India’s only Fortune 500 company — could go against the principles of consolidation and corporate expansion. Not very long ago standalone refineries Bongaigaon Refineries and Petrochemicals Limited (BRPL) and the Chennai Petroleum and Kochi Refineries were merged with mega companies such the IOC. Sources in the Petroleum Ministry said that at no point of time during the CCD meeting on Friday a decision was taken on breaking up of IOC. Instead, three options were discussed in the wake of the Supreme Court’s verdict asking the government to acquire Parliamentary ratification for divesting government’s equity in Hindustan Petroleum Corporation Limited (HPCL) and Bharat Petroleum Corporation Limited (BPCL). The three options are: (i) the legislative route — a review or a clarification petition; (ii) evolving consensus in Parliament in favour of privatising HPCL and BPCL and (iii) in case of HPCL and BPCL being ruled out see which other companies could be divested. In fact, a three-member committee has been formed with Mr Shourie, Mr Naik and Law Minister Arun Jaitley as members to go into further details of these options and place it before the Cabinet within a period of three months. Petroleum Ministry sources said that any decision to break up IOC into separate marketing and refining entities would go against the global corporate practice where mega companies have been created by merging individual entities. The Indian Oil Corporation’s 4,800 petrol pumps may be sold to HPCL and BPCL if the Ministry of Disinvestment’s proposal to hive off the firm’s retail arm goes through. To push forward disinvestment process in the oil sector after the Supreme Court halted privatisation of HPCL and BPCL, the Disinvestment Ministry, at last week’s CCD meeting, suggested that the IOC’s retailing and refining business could be split into separate entities and 60 per cent of its retail business be sold to HPCL and BPCL, highly placed sources said. The eleven cities where the Euro III equivalent norms will be applicable from 2004 are: Delhi (including NCR), Mumbai, Kolkata, Chennai, Bangalore, Hyderabad, Ahmedabad, Pune, Surat, Kanpur and Agra. The policy gives a road map for achieving various vehicular emission norms over a period of time and the corresponding fuel quality upgradation requirements. “While it does not recommend any particular fuel or technology for achieving the desired emission norms, it suggests, that liquid fuel should remain as main auto fuels throughout the country and the use of CNG/LPG be encouraged in cities affected by higher pollution levels. This will enable vehicle owners to have choice of the fuel and technology”, Petroleum Minister Mr Ram Naik told newspersons here today. The policy was approved by the Union Cabinet on October 3, 2003. The first auto fuel policy also set a road map for vehicular emission norms for new vehicles and set a target of achieving Euro III norms for 11 major highly-polluted cities including Delhi, Mumbai and Kolkata. “To upgrade the fuel quality and vehicle, a total investment of Rs 65,000 crore would be needed”, Mr Naik said. It is estimated that existing domestic oil refiners, in addition to the investment of Rs 10,000 crore already made to achieve Euro I auto fuel specifications, would need to incur an additional investment of around Rs 18,000 crore by the year 2005. 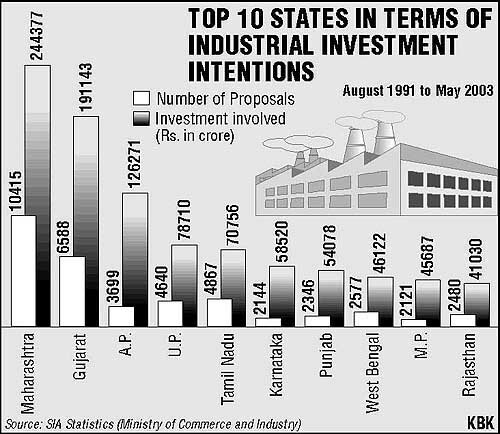 Further investment of around Rs 12,000 crore will need to be made during the period 2005-2010. The investment requirement of the automobile industry is estimated at around Rs 25,000 crore over this period, Mr Naik said. On the rather tricky issue of providing fiscal benefits to oil refineries and automobile manufactures for meeting these norms, the Minister said that this will be taken up during the time of the Union Budget. “Different aspects of the policy would be considered and dealt by the different departments like Transport and Environment Ministries”, he said. As per the policy, after April 2007, inter-state buses/trucks would not be allowed to originate or terminate in Delhi unless they meet minimum of India-2000 emission norms. The cut-off point for meeting Bharat II norms will be April 2011. The policy is based on report submitted by the Expert Committee headed by noted scientist Dr R. A. Mashlekar. The Committee had submitted its final report in September 2002. In respect to ten other cities, all inter-state buses will have to meet with effect from April 2006, a minimum of the 1996 emission norms in case they were registered before April 2002. They have to meet with effect from April 2008, a minimum of India-2000 norms if they were registered after April 2000. “I feel that for any worker, if his or her prayer is not listened to by the authorities or if he or the has exhausted all channels of grievance redressal, then in such circumstances, he or she has a right within the rules to protest. The Industrial Disputes Act, 1947, has a provision for it,” he said in BBC’s “Aapki Baat BBC Ke Saath” programme broadcast last night. “The Supreme Court decision is restricted to government employees and does not include the workers in general...For the government employees, there is a strong mechanism for their grievance redressal also. Even if after that, they do not get justice, what do they do? I feel that as a last resort the right to strike should remain,” Mr Verma said. Asked why his ministry had not done anything to deal with the strike of Tamil Nadu Government employees which resulted in the loss of jobs of 4,000 employees, Mr Verma said “unfortunately in the Tamil Nadu strike case, the employees did not approach the Central Government. Impending elections to state assemblies and national elections in 2004 have apparently compelled the government to put on the back burner legislative changes to bring in hire and fire policy, with Labour Minister Sahib Singh Verma saying the NDA government’s priority was to protect workers’ rights. “There is no question of hire and fire in India,” Mr Singh told the BBC in an interview. The Labour Minister said the expression of “hire and fire” was not to his liking and that the government was committed to do everything to protect the employees’ rights. Mr Singh said there was a sea-change in the attitude of workers who feel the necessity of improving productivity. They want the disruptive element to be weeded out, he remarked. The proposal was cleared at the 67th meeting of the Board of Directors of Indian Airlines here. A decision was also taken to set up an empowered committee to examine the offers received for the leasing of five additional Airbus A-320 aircraft. The meeting was presided over by IA Chairman and Managing Director Sunil Arora, AAI Chairman S.K. Narula, Additional Secretary and Financial Advisor to the Civil Aviation Ministry V. Subramanium and Joint Secretary at the Civil Aviation Ministry Raghu Menon. The move caps the government’s initiative to allow IA, Air-India (A-I) and the Airports Authority of India (AAI) to form joint ventures with private parties for ground handling operations at various airports in the country. The three will have a minimum of 51 per cent shareholding either directly or though their subsidiaries in the joint venture with an international operator or foreign airlines, subject to security clearance. No self-handling by any of the airlines or their subsidiaries or agencies will be allowed. A release issued by the Indian Airlines said that it manages ground handling for its more than 90,000 flights per year at various airports. It also provides ground handling services to over 10,000 flights annually of other airlines and operators at 15 airports. The domestic carrier earned Rs 128 crore from its ground handling activities in 2002-03, up from mere Rs 13 crore in 1991-92. It plans to float a separate company to handle the burgeoning operations. Board was also informed regarding detailed negotiations that took place in London and other European Insurance market through the insurers of Indian Airlines Limited. It was reported that there had been a steep increase in aircraft insurance premium over the last two to three years mainly due to September 11, 2001 incidents in USA and the efforts made by Indian Airlines to impress upon the underwriters in respect of effective steps taken towards improvement in the critical operational areas. The industry, which has enjoyed monopoly for decades in the domestic market, is facing serious challenge from domestic and foreign competitors. Due to the state government’s indifferent attitude towards this industry, entrepreneurs are struggling to keep their head above water. At present, with an annual turnover of over Rs 125 crore, including Rs 65 crore exports, around 600 small scale units are giving employment to over 10,000 persons. The domestic market for instruments in education institutions, industry and defence is around Rs 1,000 crore annually and is growing at over 20 per cent. Says Dr Anil Jain, President, Ambala Scientific Instruments Manufacturers’ Association:" During the past five years, most of the manufacturers have failed to upgrade their units due to lack of exposure in the international markets and low-skill level of entrepreneurs and manpower. Consequently, the industry is facing tough competition from manufacturers of Bangalore, Mumbai, Hyderabad and Delhi, besides Chinese manufacturers." No doubt units like Labo, Osaw and Vaiseshika Electron Devices, in collaboration with the USA, are manufacturing microscopes, sealed maintenance-free batteries and even membrane filters voltage stabilisers, electronic calibration standards for light combat aircraft and MiG in the country. But most units are engaged in manufacturing of low-value added products with an average turnover of just Rs 10 or 15 lakh annually. Industry insiders say most of the manufacturers are still using conventional technologies based on reverse engineering (copying) and prototypes of similar foreign instruments. They serve basic requirements of teaching of physics, chemistry, biology and engineering subjects at the school and college level. However, sophisticated instruments like gas chromatograph, spectro photometer, micro pippets, digital weighing balances and analytical instruments for advanced research and applications are not yet manufactured at Ambala Cant. Mr N.K. Jain, General Manager, Instruments Design Development and Facilities Centre admits,"About 200 units have benefited from the research and development activities of the centre but there is need for further upgradation." Another industrialist disclosed that some entrepreneurs have stopped their production due to an increase in cost of production, high power tariff and inspector raj. 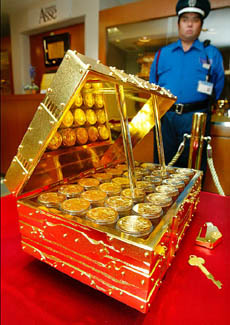 They find trading in imported instruments more lucrative as compared to manufacturing. Yahoo! India’s mobile offerings like Yahoo! messenger, group SMS, mail, logos, ring tones, cricket, astrology, photo SMS, jokes, blink and flash SMS, world timings and a host of other services for SMS will now be available for Spice Telecom users. The “Yahoo! For SMS” offerings for Spice subscribers will include the highly popular Yahoo! Messenger service. This enables mobile phone users to communicate via SMS with any of their friends on their Yahoo! Messenger buddy list. The offering allows users to communicate seamlessly and instantly across the PC and mobile phone devices without having to log in from a computer. The Spice cellular users need to have a Yahoo! ID. To log in, the users need to type ‘IN_Yahoo! ID_Yahoo! Password’ on his mobile phone, and send it as an SMS to 8242 and he will then be logged in. 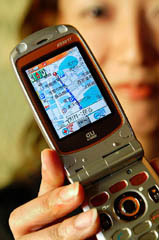 The user immediately gets an SMS with the list of his friends that are online at that time. Talking to mediapersons after launching the Lichi drink “Ditto Lichi” of Himachal Pradesh Marketing and Fruit Processing Corporation (HPMC), here he said that 1.83 crore had already been marketed out of state and the growers made record earnings. He said that marginal price fall during the peak season was off set by significant increase in volume of the crop. Tracing out Wipro’s transformation from cooking oil company to an Indian IT giant with 23,000 employees and $ 902 million in revenue for fiscal ended March, 2003, it says Wipro is on the prowl for acquisitions in lucrative tech consulting to enable it to take on companies like IBM and Accenture. Last November it became the first Indian IT company to make a major US acquisition by buying the energy practice of Boston-based tech consultant American Management Systems Inc. for $ 24 million and in May, 2003, it bought NerveWire Inc., a financial consultant in US for $ 19 million the magazine said. It quoted Oracle CEO Larry Ellison as saying that Indian companies were getting involved in big deals creating huge pricing pressure. He was referring to a deal in which Oracle lost out to Wipro in providing tech services to Scandinavian telco TeliaSonera. “Government is neither considering any review of the small savings schemes nor any cut in the transfer of small savings collections to the states,” Finance Ministry said in a release here.